I showed up for advance voting downtown yesterday around a quarter till one. There was a line outside the elections office, and it was lightly raining. A woman with an ebullient personality, amplified by day drinking, joined the line behind me, and we chatted about how it was good to see such participation and how the rain tested our resolve. She also remarked how it was the wrong day to wear a dress since it was both rainy and cold. Her male companion who had given her a ride joined her and helped her into a raincoat on top of the coat she was already wearing. When the line moved forward, she remarked, "Look how everyone is moving forward like a herd of cattle!" Her companion gruffly deadpanned, "It's called a line." He had a sense of humor, too, though: He stepped to the side to smoke a cigarette, and when the line moved forward, he looked at her and said, "I'm still in line ... 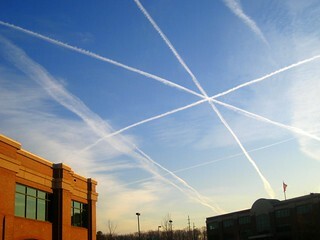 I'm still in line," as he took corresponding steps forward in parallel. Once inside, there was a short line to show your ID, another short line to take your paper and get a card for the voting machine, and another short line to get to a machine. There were workers directing people at each step, and it probably took as much attention and response as directing traffic on the road. One poll worker said that there had always been a line each day all day long. It will be interesting to learn the percentage of turnout after election day. 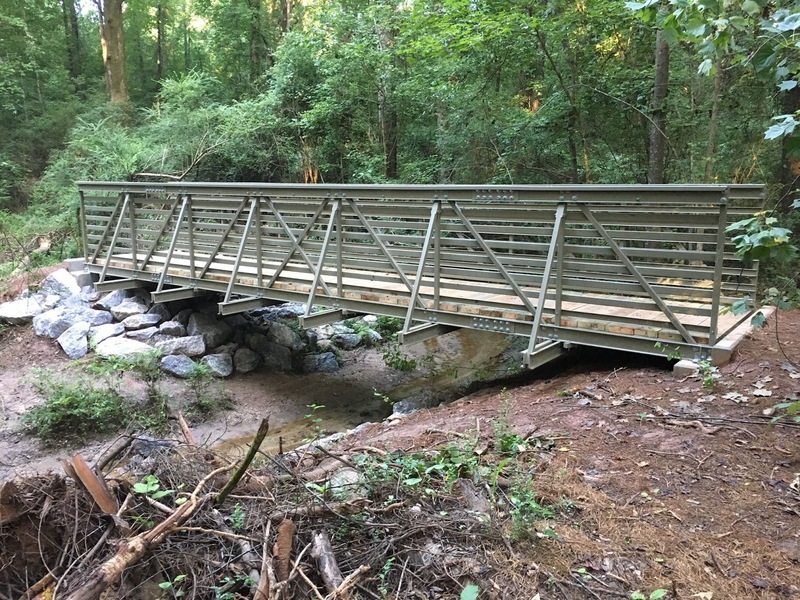 Southeast Clarke Park has a new bridge over a creek connecting walking trails situated between Lexington Road and Whit Davis Road. It now connects all the trails between three parking lots around the park. 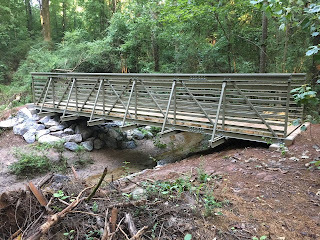 The bridge was purchased mostly from a $28,000 grant from the Riverview Foundation, and Athens-Clarke County Leisure Services also gives mad props to Boy Scouts troops 7 and 149 for clearing the trails to connect this bridge. Pete McCommons of Flagpole was recently recognized by the Grady College of Journalism and Mass Communication at the University of Georgia with the inaugural Rollin M. "Pete" McCommons Award for Distinguished Community Journalism. McCommons wrote in his March 7 "Pub Notes" column that "it takes a community to support community journalism." He in turn recognized many individuals who participated in and supported local journalism here in Athens, as well as those who made Athens such a great place for community journalism. There are signs announcing a store closing sale at Junkman's Daughter's Brother on West Broad Street. Interested in posters and home decorations, I dropped in and learned that the discount is ten percent. Not finding anything I particularly wanted, I might browse some more if he drops it down to fifty percent. Does anyone know when the store is actually closing? Is it for real this time?